Rapala®’s Super Shad Rap®s come alive in four new natural-looking color patterns – Live Bluegill, Live Largemouth Bass, Live River Shad and Live Smallmouth Bass. Constructed of super tough African Abachi wood and rigged with heavy-duty hardware and 3X VMC® hooks, the Super Shad Rap® features the same fish-catching action of the Original Shad Rap® in a super-sized presentation. This entry was posted in Rapala and tagged Rapala, Shad Rap, Super Shad Rap. Bookmark the permalink. Are these available in Ontario Canada? 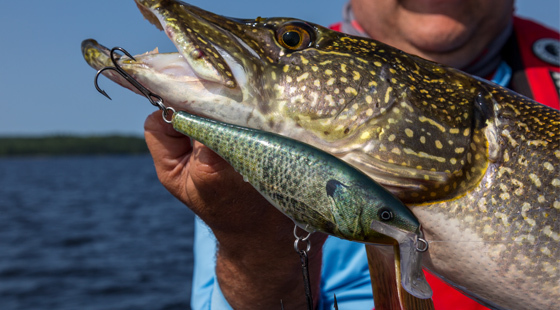 Please click the link below to visit Rapala Canada’s website! You will need to check with Rapala South Africa!